It’s been over a week since I blogged and some of you guys have contacted me and asked how I’ve been, so I better update you on my progress. I’ve now been off work for two weeks and I’ve been signed off for the rest of this week, but I’ve been told that this time, I have to FULLY recover before going back to work and fitness training. Quite a few people, including doctors have already said to me “don’t be too brave Kat”. Seems they know me well enough now to know that I’m really no good at sitting still and relaxing. Most of the medical team that look after me still think I’m an absolute lunatic to have even competed in a triathlon just a little over a month ago (more on that later). You be pleased to know that I’m not in hospital and that I’ve been home about a week. The first week I got ill, I was admitted for almost a week. I became one of those awkward patients who threatened to discharge myself as I was so upset with having to be in a ward that I pretty much lived in in 2012 and 2013. The moment I started asking about discharging myself, I was assessed by a few doctors and they decided that I could go home with a bag of drugs and under supervision. What was/is wrong with me? As I said in the previous post, there were a selection of issues. (1) I had renal infections – so we’re talking bladder and kidney. It had got so bad that it had caused severe discomfort and pain which affected my renal function. When I had tests, the doctors found an elevated creatinine level, it should be in the region of 100 or below, but mine was as high up at 142 which is far too high. Creatinine is a chemical waste molecule that is found in the kidneys and it’s a very good indicator of how well they are functioning. Kidney infection and disease can lead to renal failure which in turn can be fatal. I was placed on a continuous fluid drip to help bring down the levels, but it didn’t work, it served only to make me go to the toilet every 90 minutes throughout the night, so I developed a sleep deprivation problem. (2) Low haemoglobin – I should be up at about 130, but over the course of a few weeks, it started dropping. When I was in hospital it dropped to as low as 79 – this is blood transfusion territory. (3) E-coli – I was tested positive for e-coli. When I mentioned this to a few friends their immediate reactions always went to whether I ate something bad, but that’s actually a common misconception. Everyone has e-coli in the gut, but it’s usually harmless. But sometimes, something in your body can cause it to flare up and in my case, renal infection was the suspected cause. (4) Uveitis – I’ve been getting really cloudy vision and it baffled my doctors so much that I was sent to an ophthalmologist at the eye hospital. I also baffled those eye doctors too and was eventually referred to one of the top professors in the country for complex eye problems. Turns out that the first two eye doctors just wanted his opinion because of my history with cancer and they wanted a second opinion regarding whether to take an eye biopsy. Thankfully, the professor said it wasn’t required and he believed that with medical eyedrops and time, it will return to normal. What I had was severe inflammation which came along at the same time as everything else. He wasn’t sure whether it was related to the infection or my compromised immune system but confident that I will make a full recovery. So there you have it! The list above is what I’ve had to put up with the past couple of weeks. The state of play now is that my haemoglobin is up to 100, my creatinine levels have dropped to 129, as far as I’m aware the e-coli is under control, I’m not getting any soreness or pain in my bladder. My sight has also improved and the permanently bloodshot right eye looks normal now. I had an MRI scan of my brain and head yesterday and the results came out clear. My 18 month PET scan has been brought forward to Thursday now as my doctors want to test everything this week and rule a lot of things out, so I’m now worrying about that. But apart from that, I’m feeling the best I’ve felt in a good few weeks. I keep being told that I’m still quite ill, but at least now, I’m improving, albeit at a glacial pace. Hopefully in a week, I be back to work and fitness training. I’ll keep you posted on my PET scan too, so expect a blog on Friday night or Monday. Please pray that it’s clear and my remission can continue. 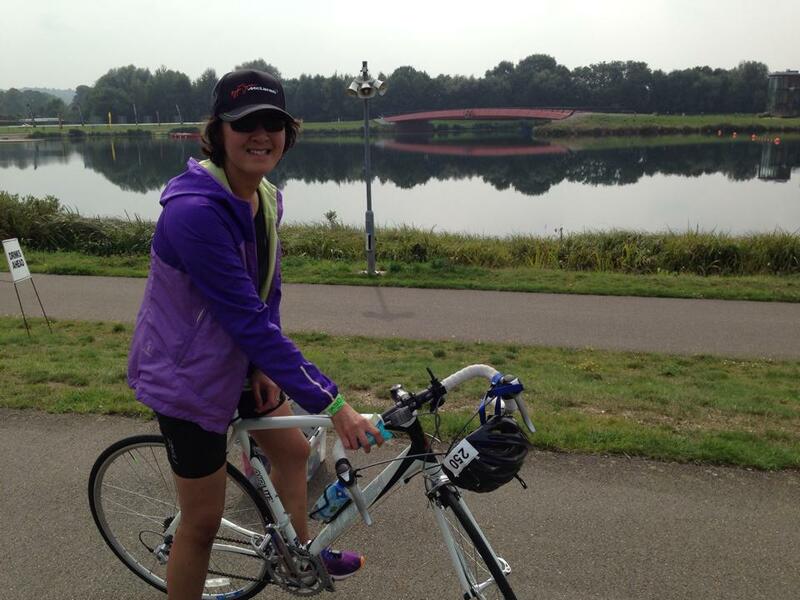 As promised earlier – my triathlon! At the risk of boring you I’ve added photos below rather than give you a full report that only triathletes will find semi-interested. All I want to say is that this was the second time I competed this course and I managed personal bests on the swim, bike and transitions. My run wasn’t great but my overall time was also a personal best, so I’m extremely happy with that! Given I only had less than two weeks to train after my bout of shingles, I’m proud! I also raised over £2000 for the Lymphoma Association and Cancer Research too, so thank you to those of you who sponsored me and had faith in me to do this! 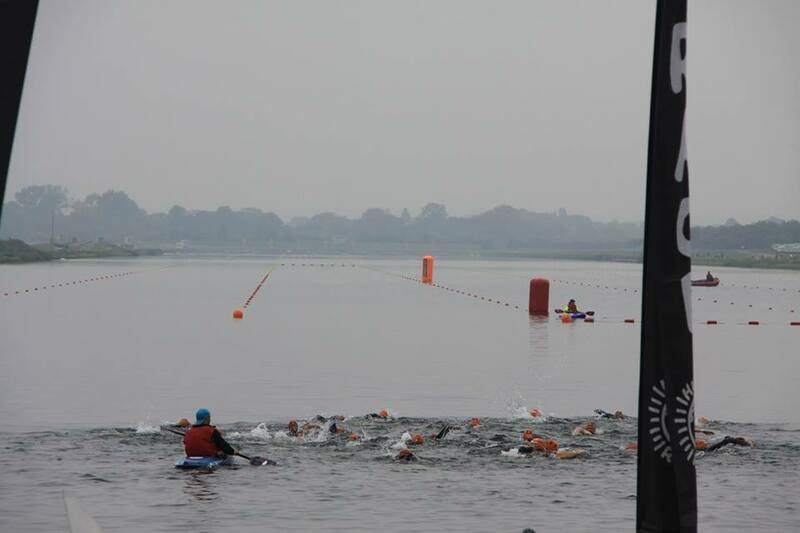 The swim start – I’m in there somewhere – towards the right side! 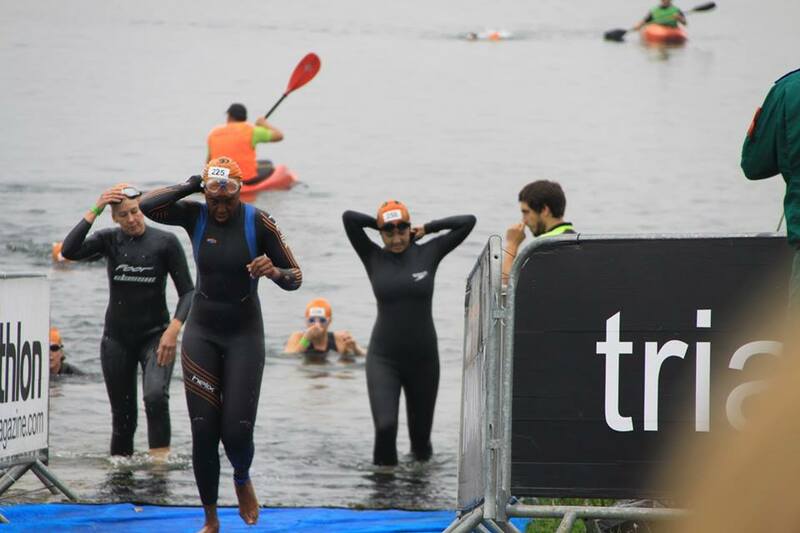 The swim exit into transition – I’m on the right trying to get my wetsuit off. 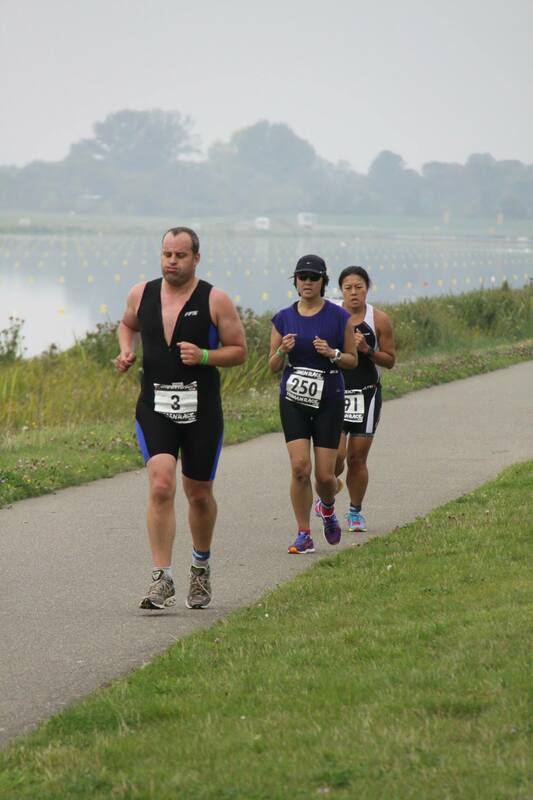 The run – with foot and leg cramp! 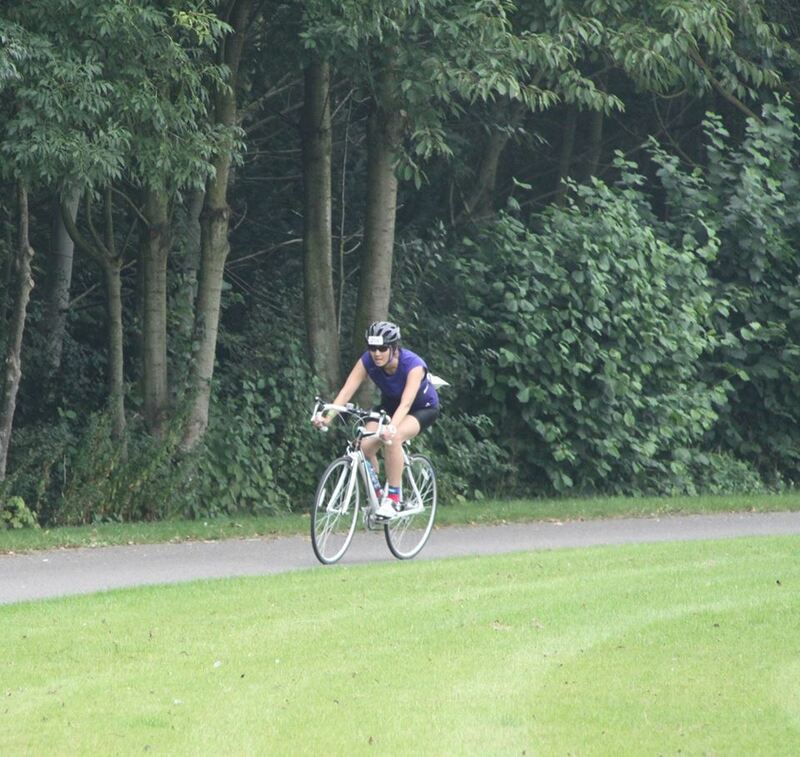 After the race I somehow got back on my bike to cycle to the car! !